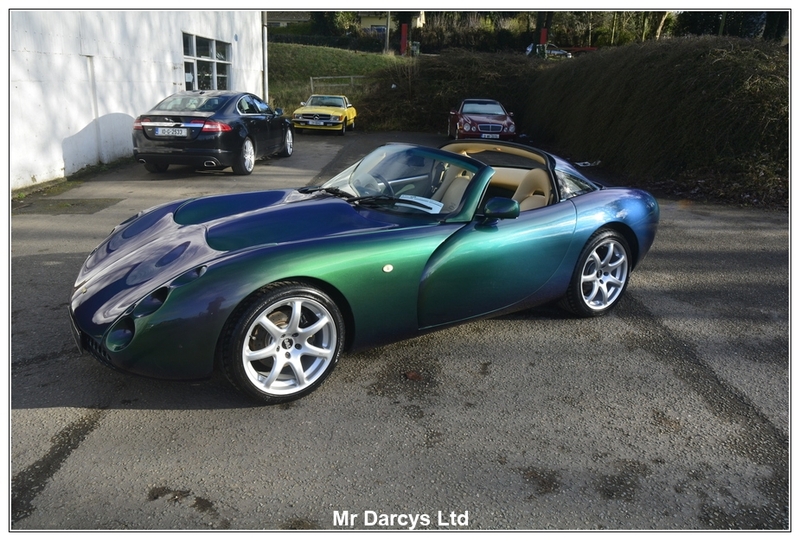 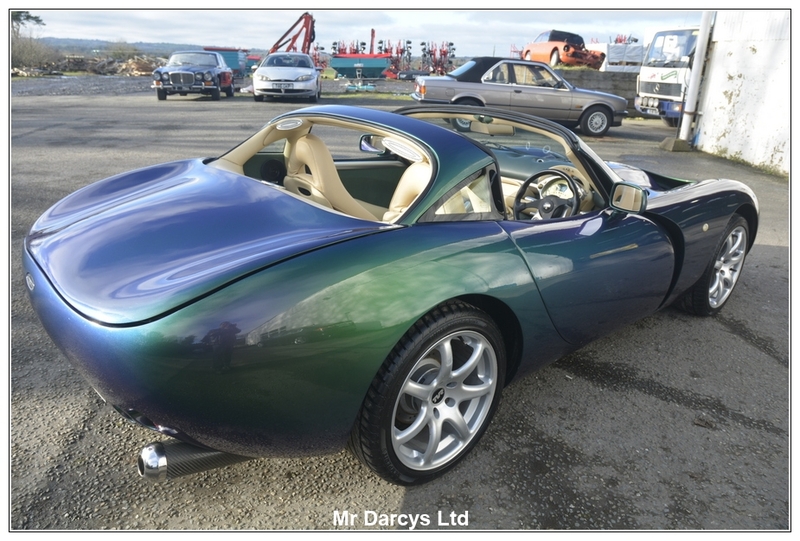 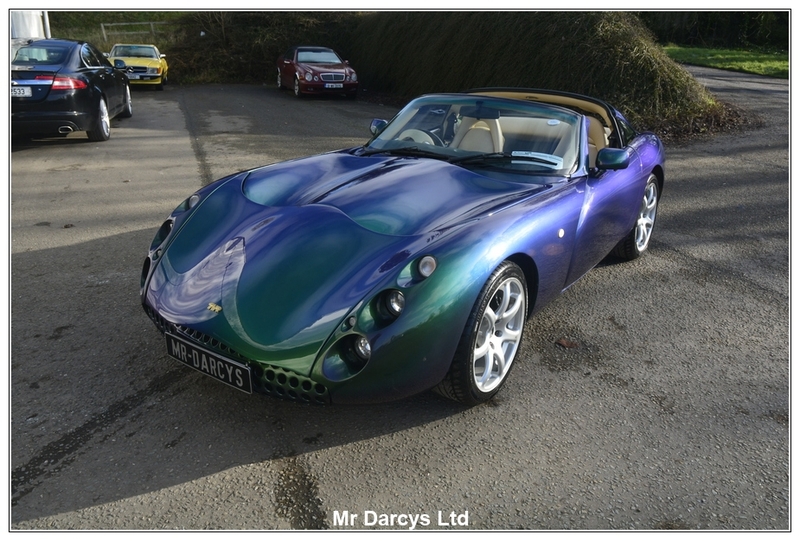 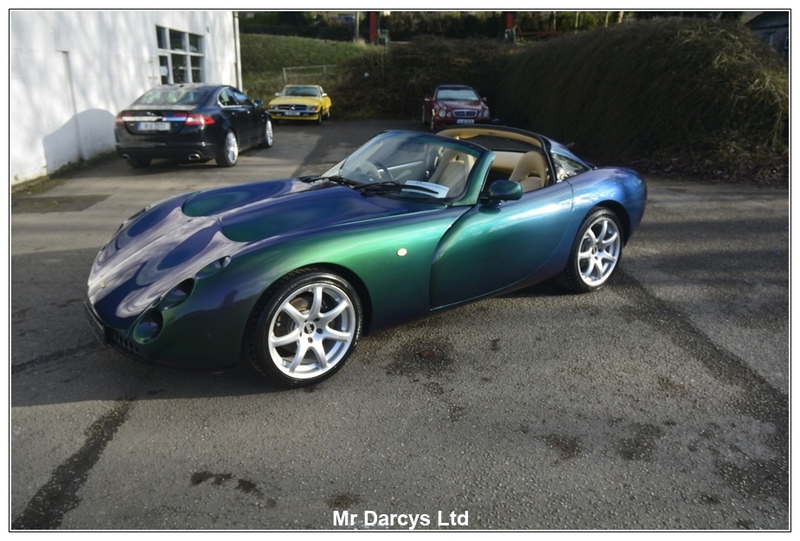 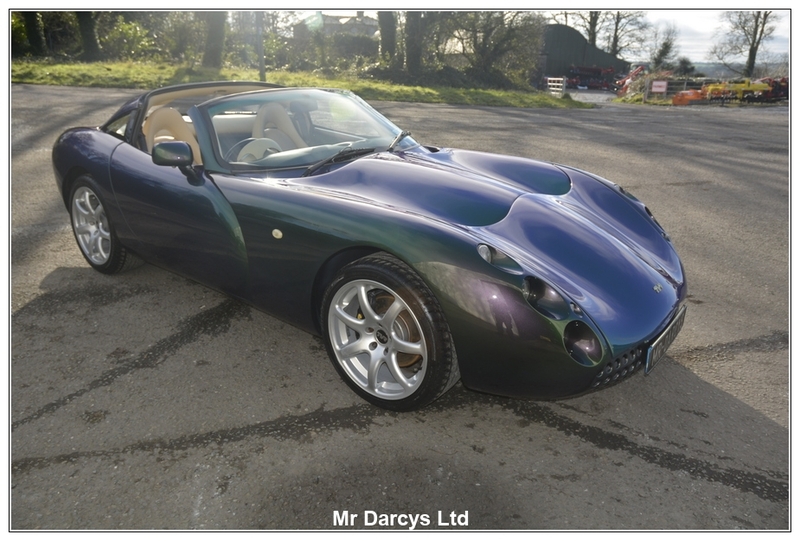 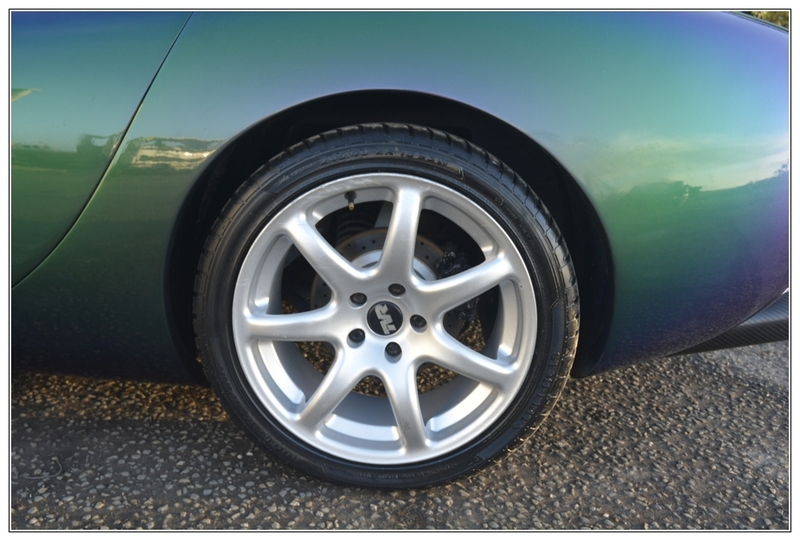 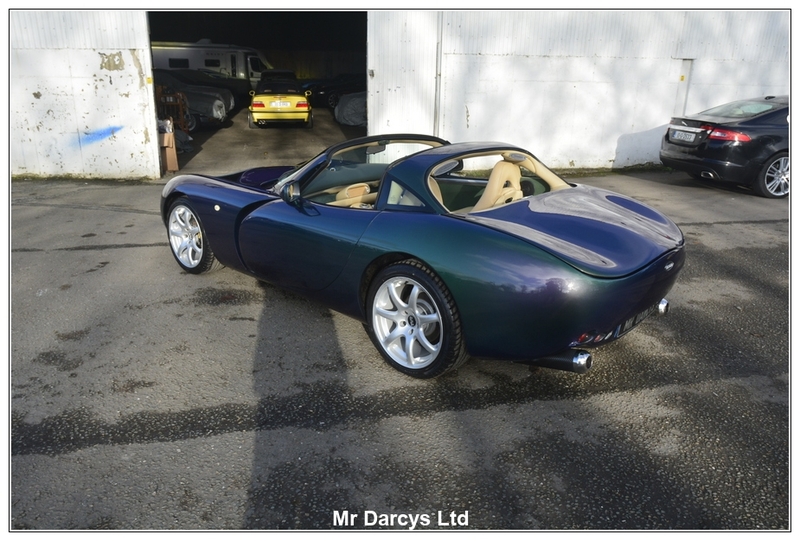 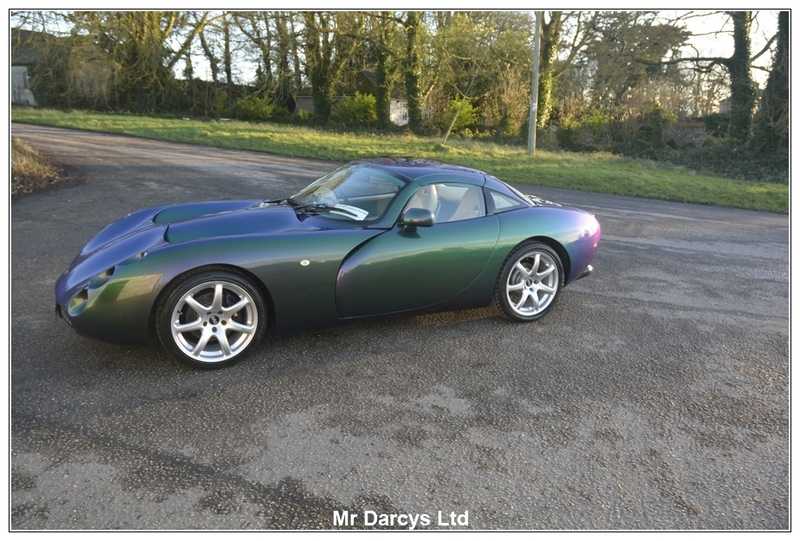 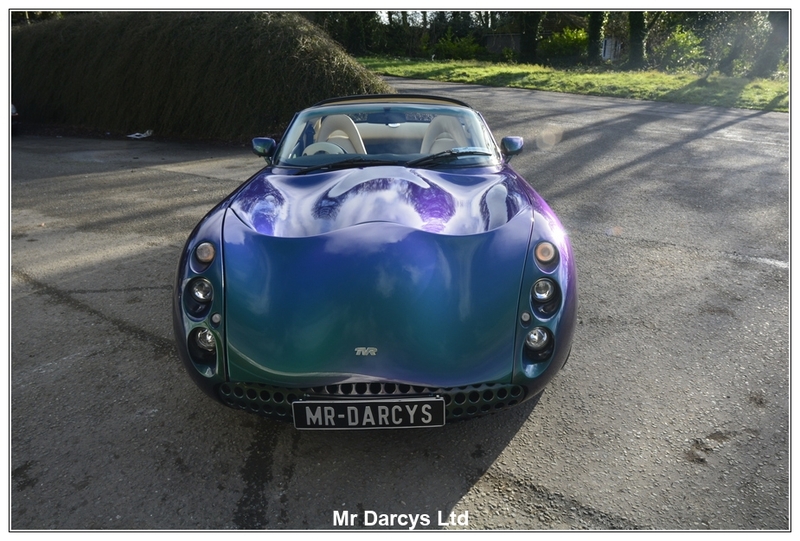 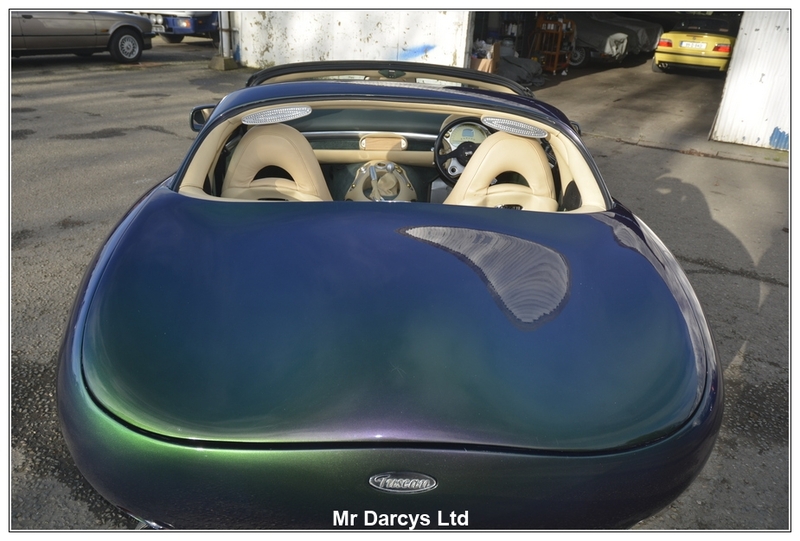 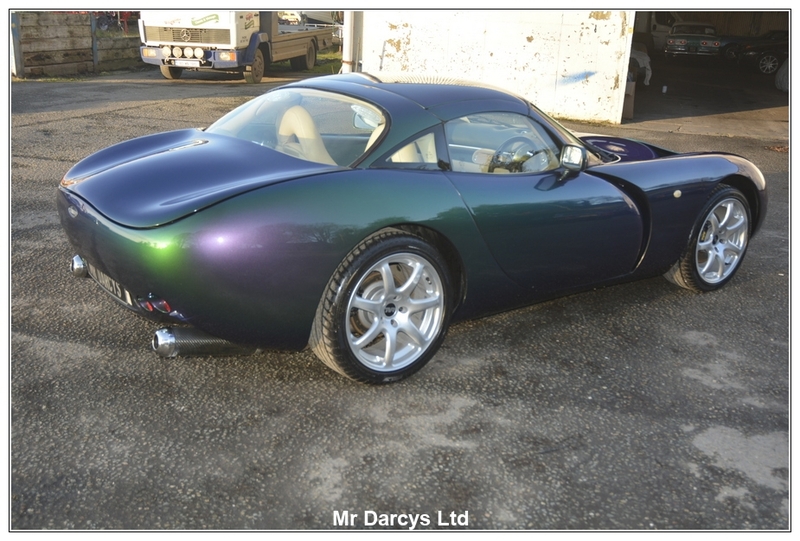 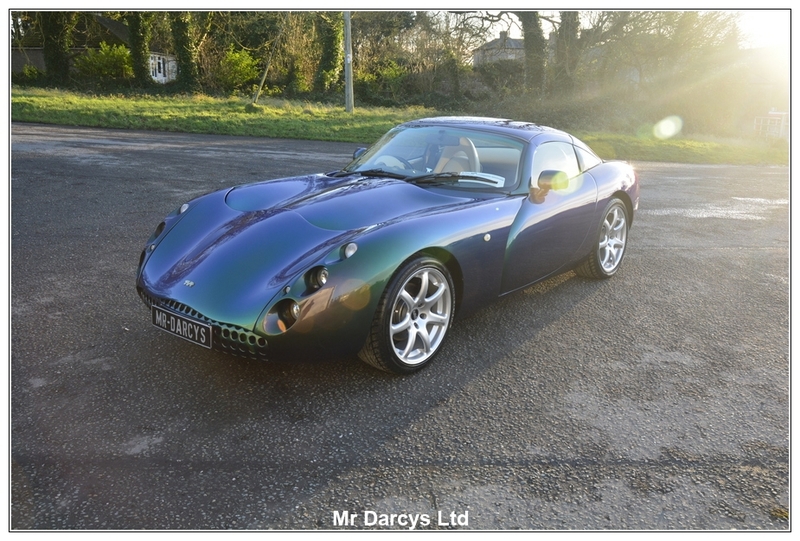 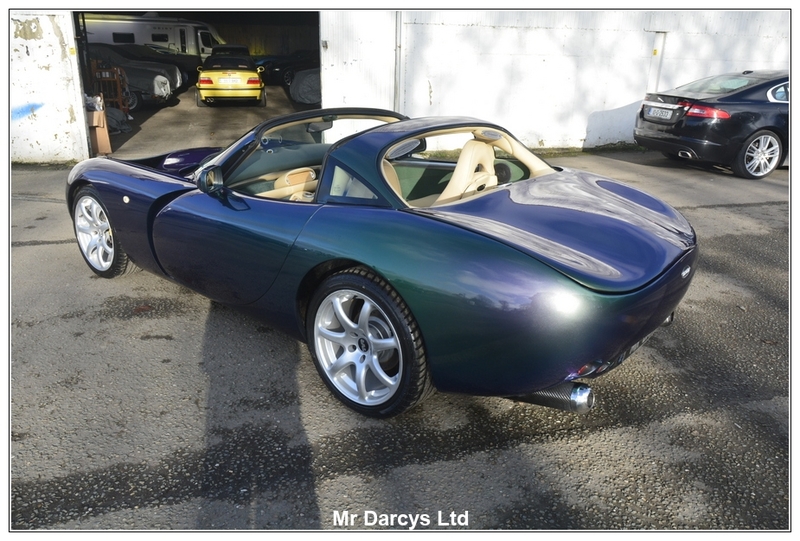 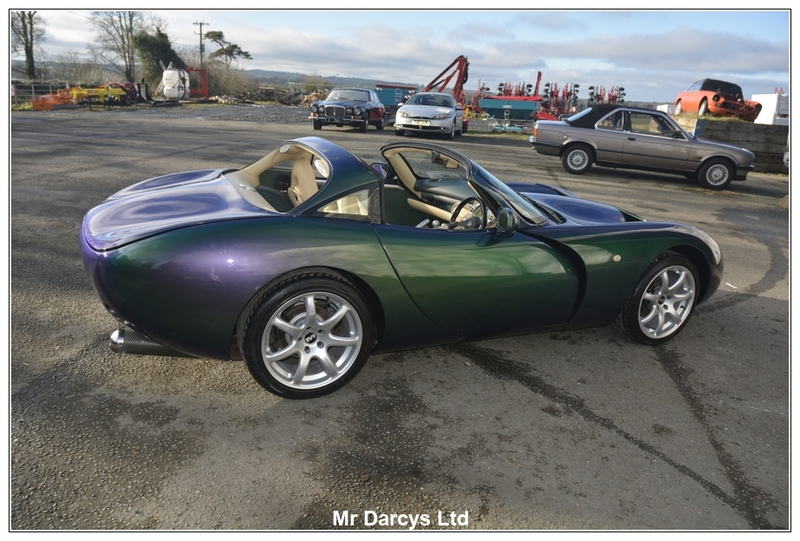 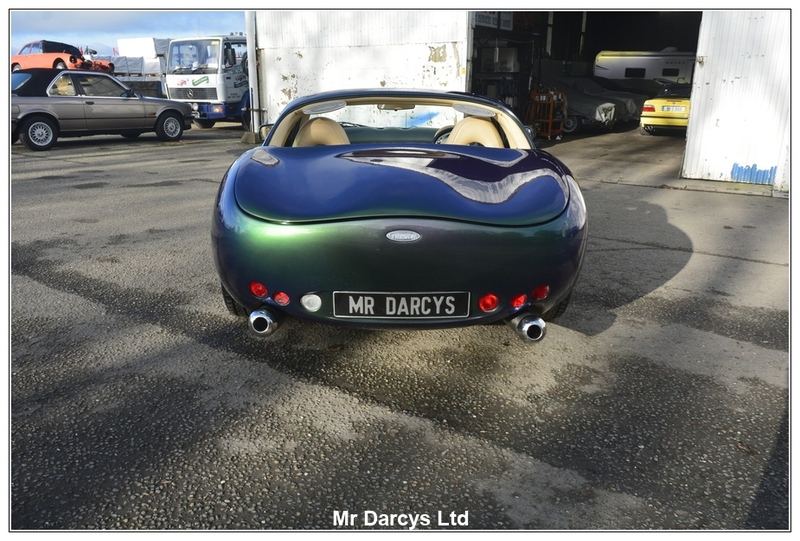 Mr Darcy's are offering for sale, this extremely nice TVR Tuscan. 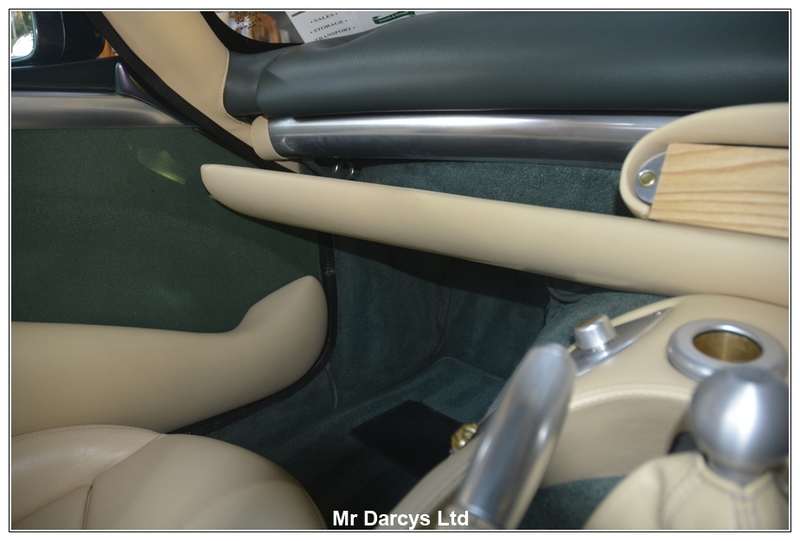 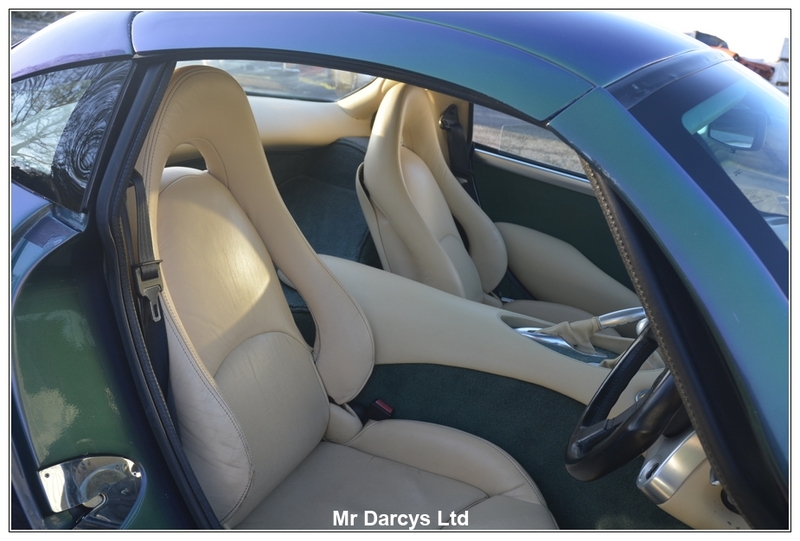 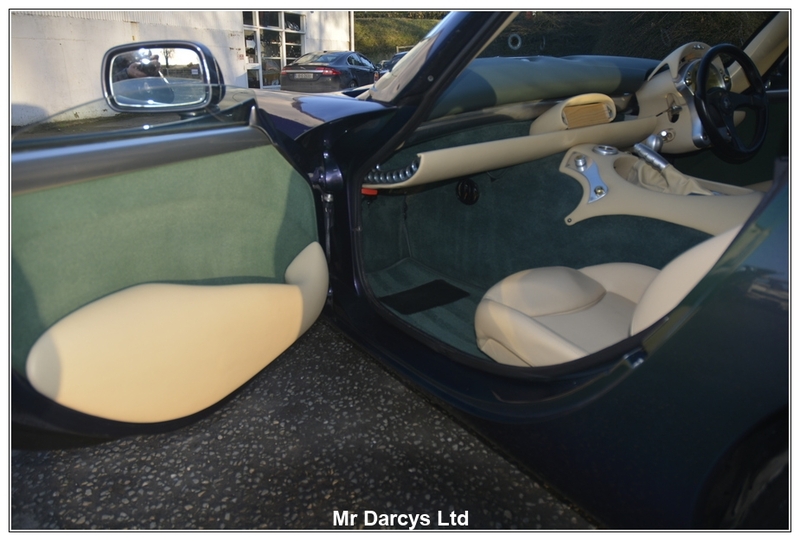 Finished in Reflex Green, with doe skin leather interior, this is indeed a great colour combination. 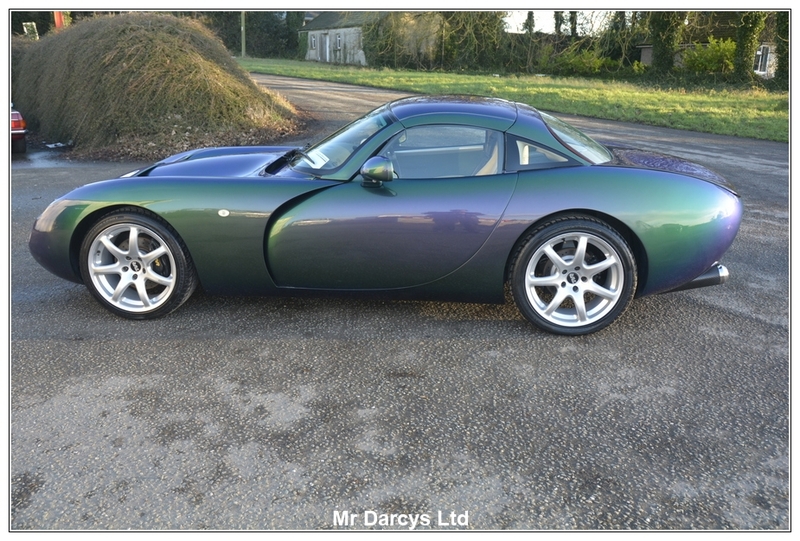 We purchased this car as part of a collection, having been in dry storage for 10 years with very little use. 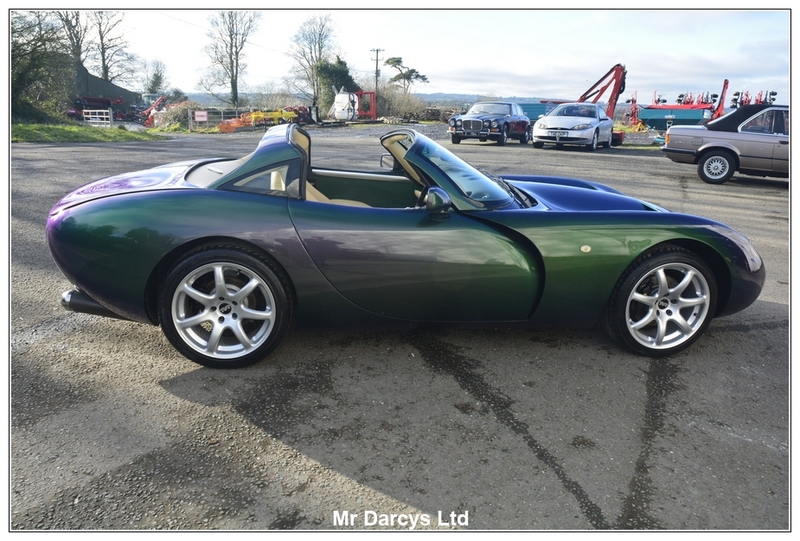 The original UK registration of the car was X78BTT, and the car was imported into Ireland in 2008. 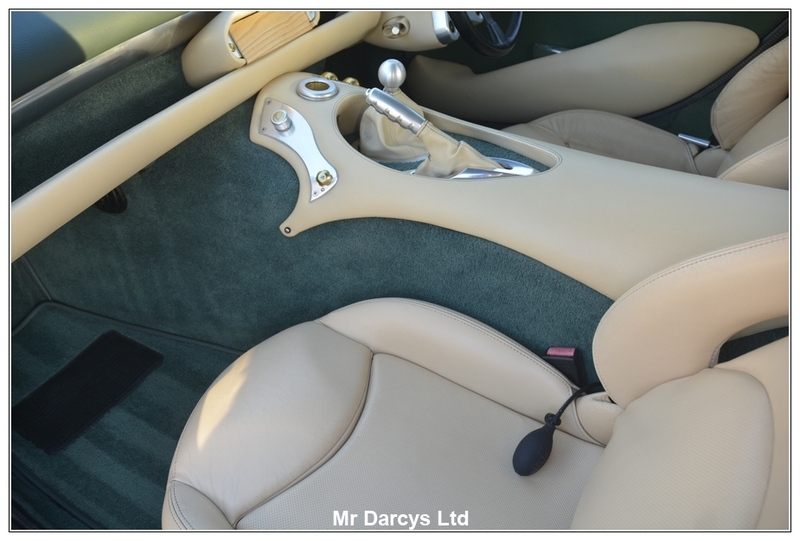 The UK service history on the car was mislaid by the previous owner, but upon checking on an old MOT, the car had only clocked up 8521 miles when it was tested in July 2006. 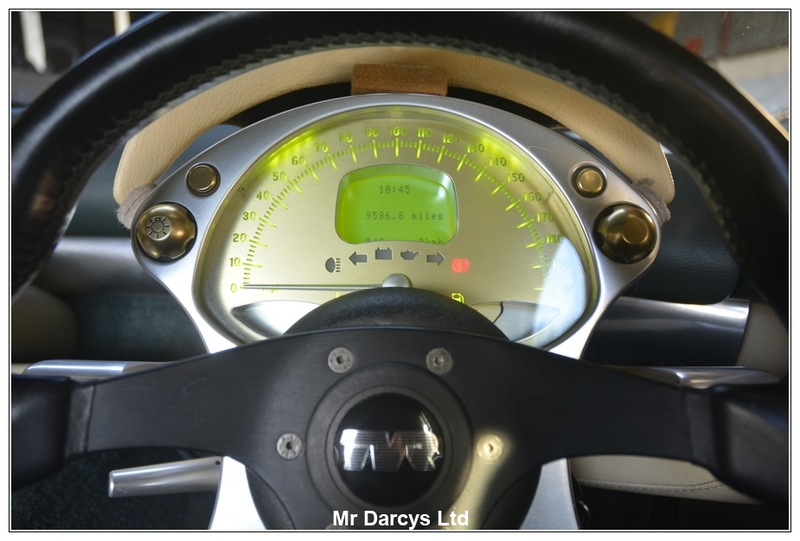 It now reads 9750, which would lead us to be confident that the mileage is original. 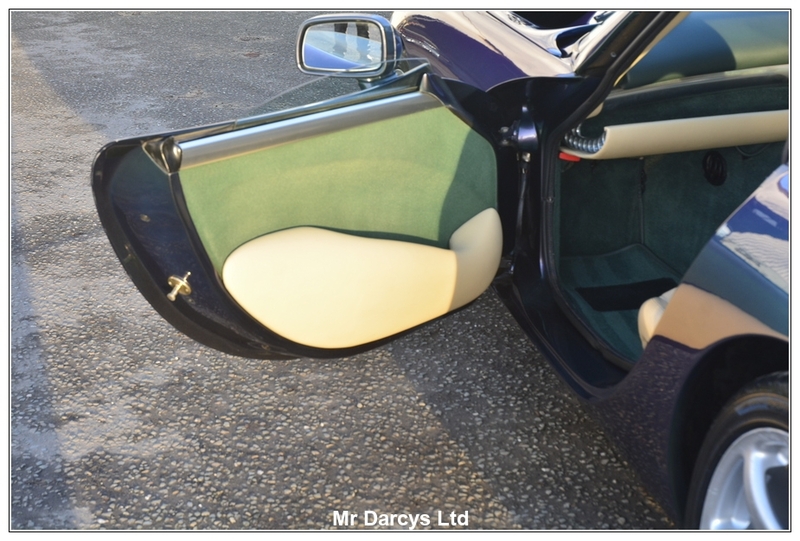 We have recommissioned the car, and she had a full service, a new alarm system fitted as the old Atlas system had wiped itself clean due to a flat battery. 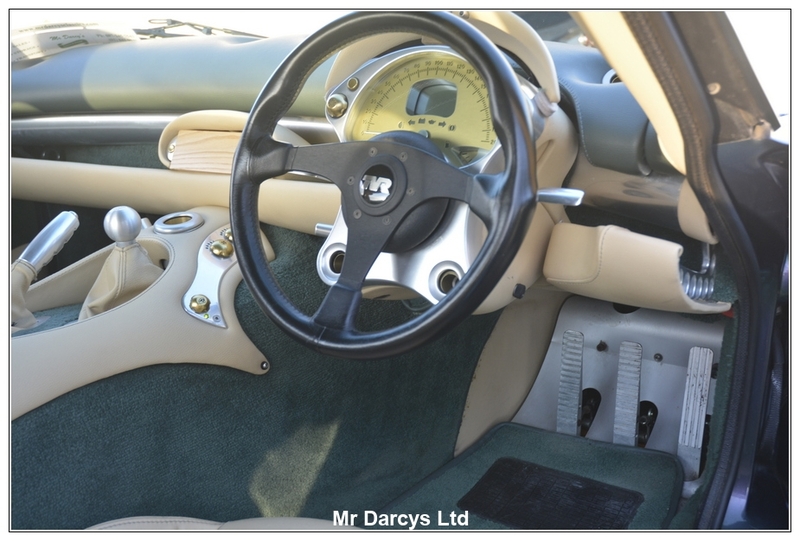 There is some documentation with the car from its time in Ireland, but it is quite sparse in terms of detail. 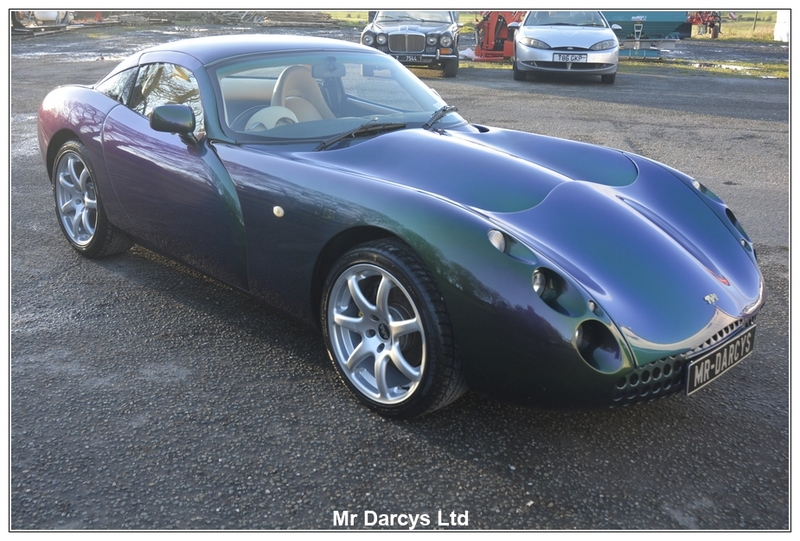 It drives perfectly, sounds amazing, and is definitely not a car for the faint of heart. 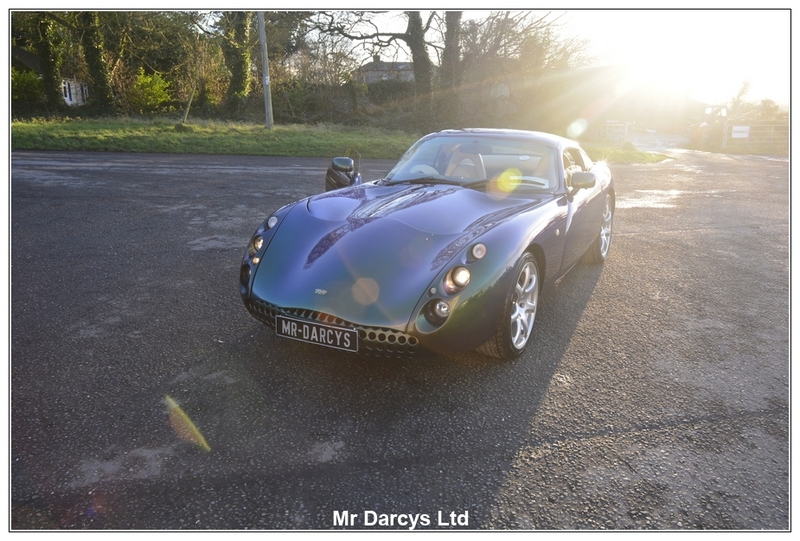 Everything works as it should, and the electrics are performing well considering the car was sitting for a number of years. 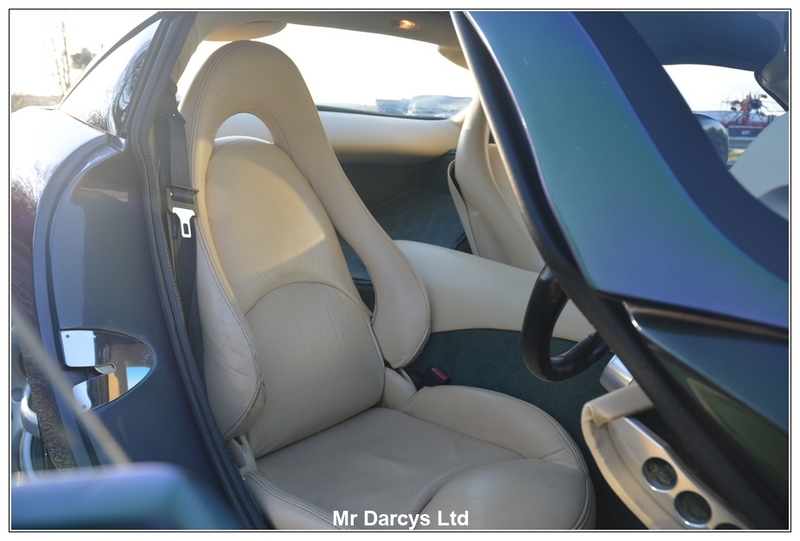 It has all the usual features of this model, including Air conditioning, and full electrics. 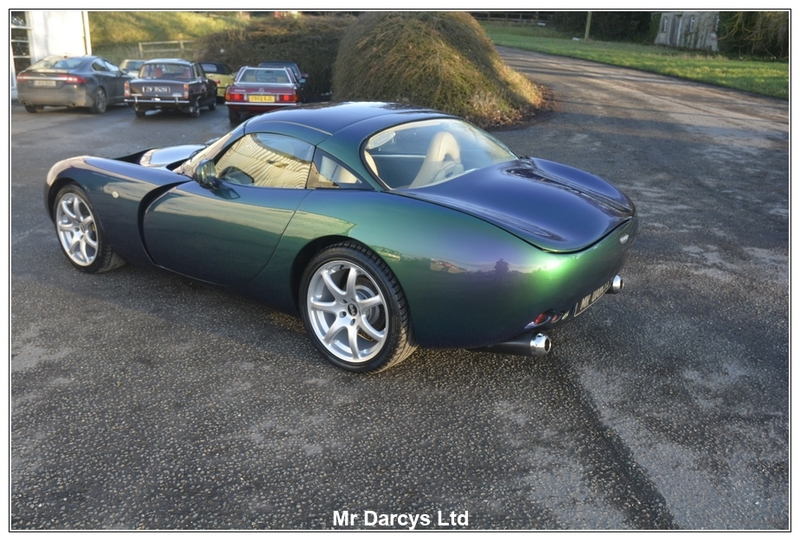 The paintwork is particularly nice, but has evidence of some touching up in a previous life. 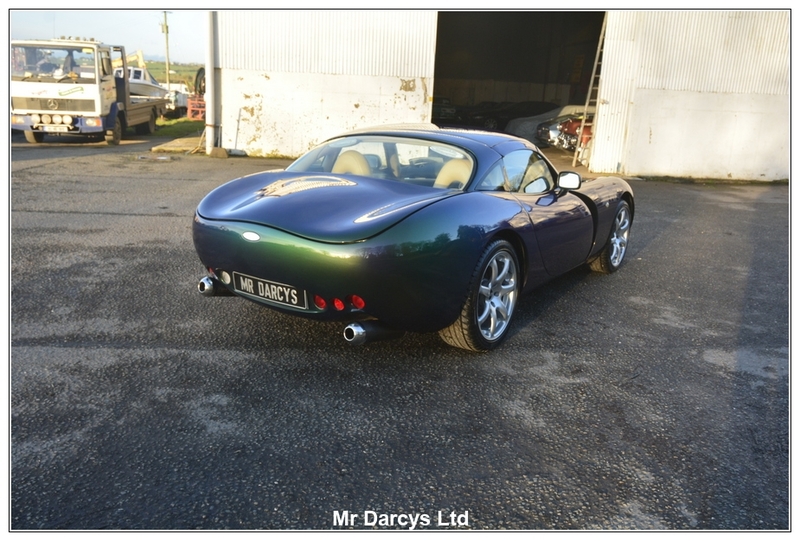 the car can be seen in Dublin, and we are located 15 minutes from Dublin Airport and can arrange collection if required. 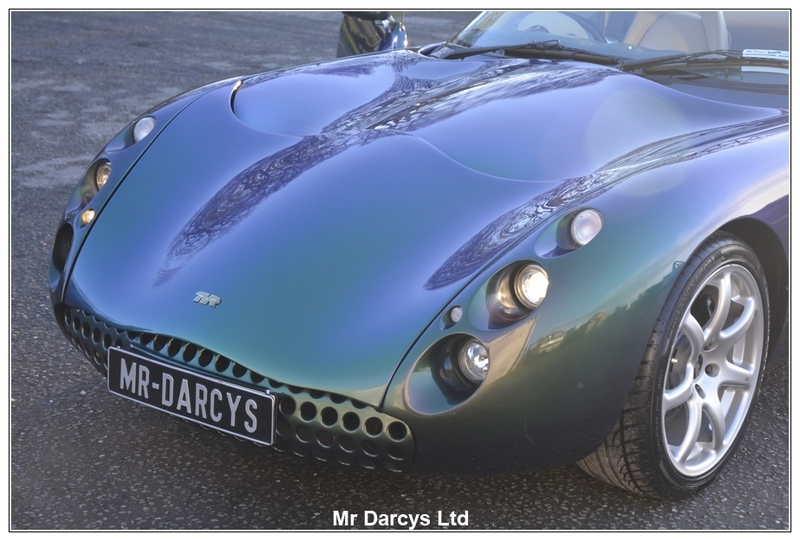 There are a host of photographs on our website, and more can be sent if required. 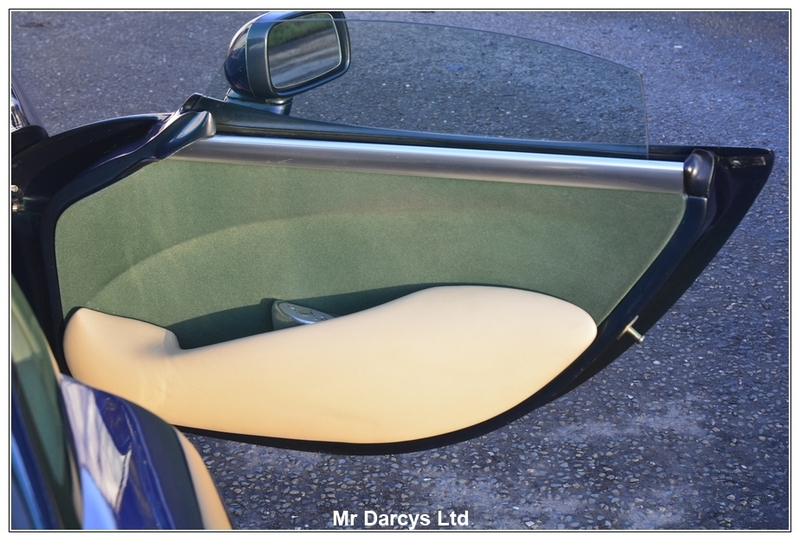 We deliver across Europe upon request. 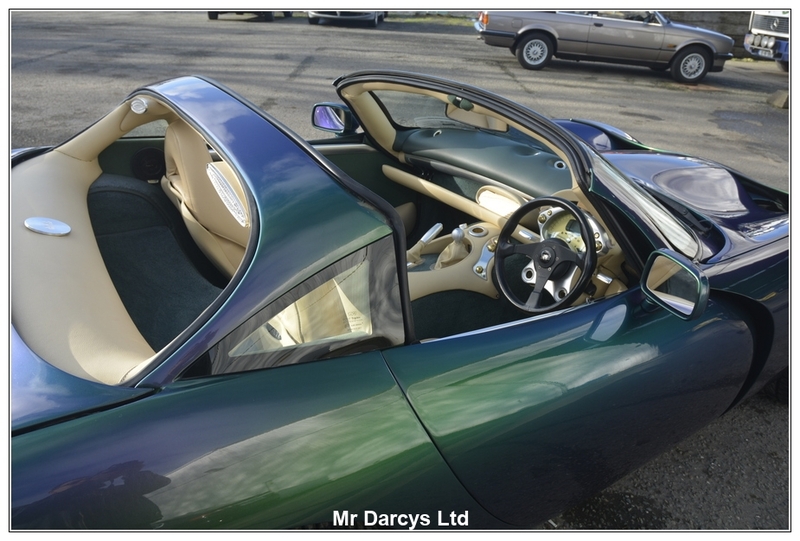 Viewing is by appointment, and the car will be posted for sale on other sites. 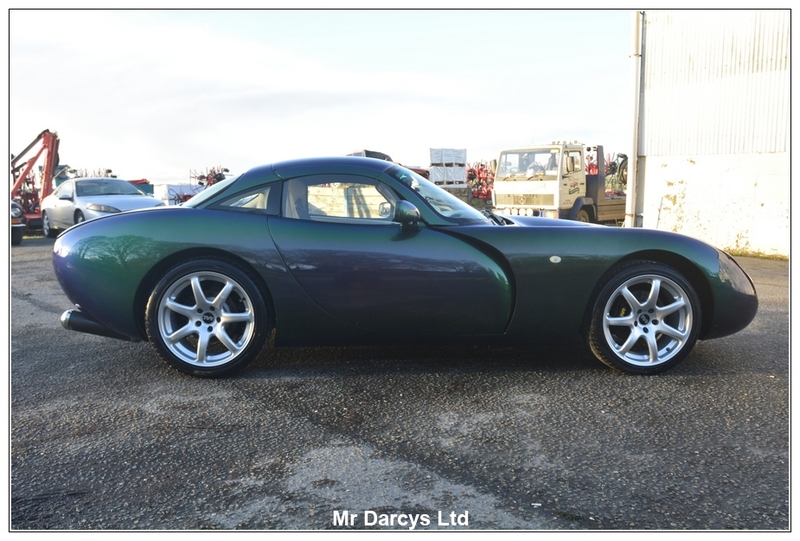 Please feel free to call for more information if you have an interest.